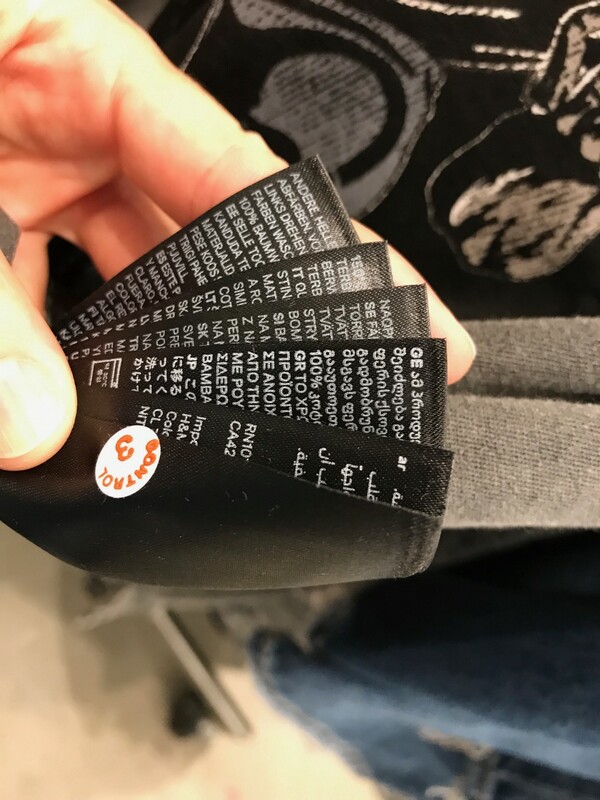 Why Are There So Many Tags In The Left Seam Of My Shirts? They are horrible and they are multiplying. When was the last time you bought a shirt from Forever 21/H&M/Zara? 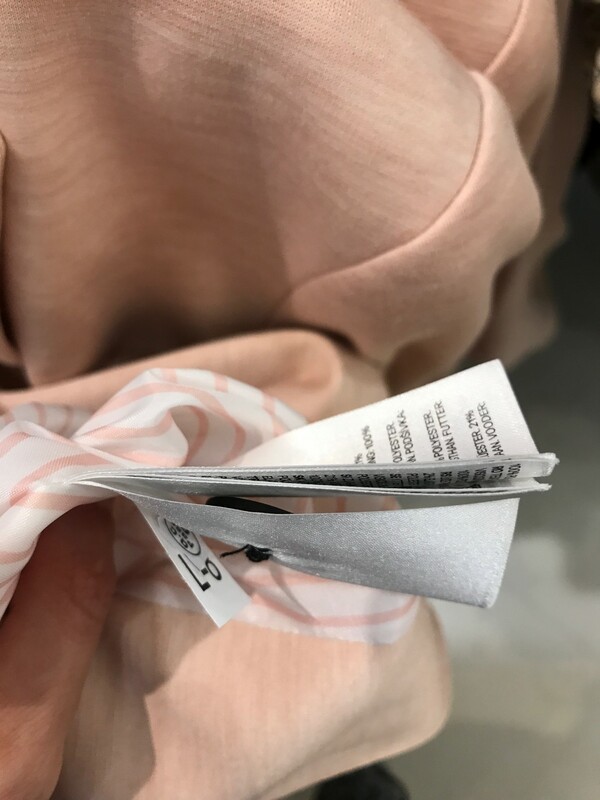 Do you maybe not wear it as much as you thought you would when you impulse-purchased it because of the annoying itchy tags in the lower left-hand seam that digs into the soft part of your side-middle, right above your waistband? And there are like seven tags instead of just one or two? Perhaps it was a tank top. 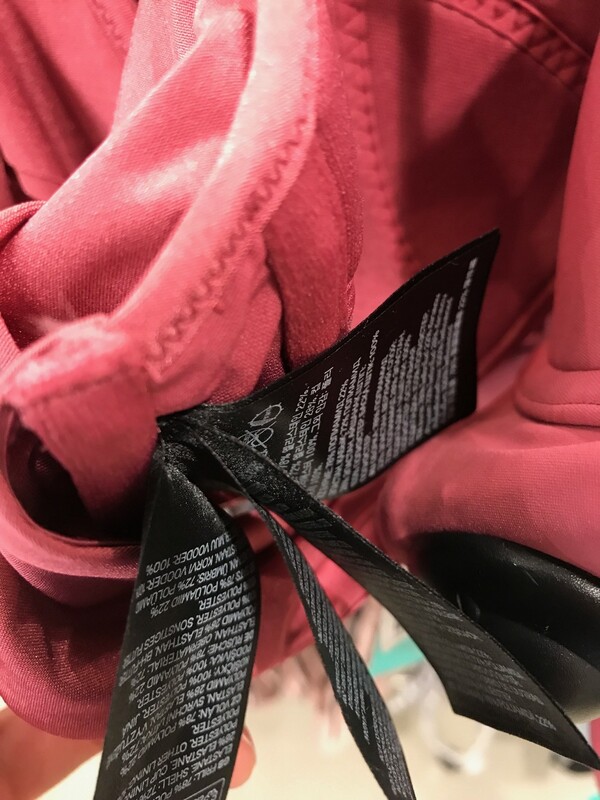 Maybe it was a sports bra, and the tags don’t all sit nicely under the bottom band, and they sort of poke into your ribs right under your arm. You know exactly what I’m talking about. Maybe you even thought you had these things under control, and you’ve been snipping them out with scissors like those RFID tags that come in all J. 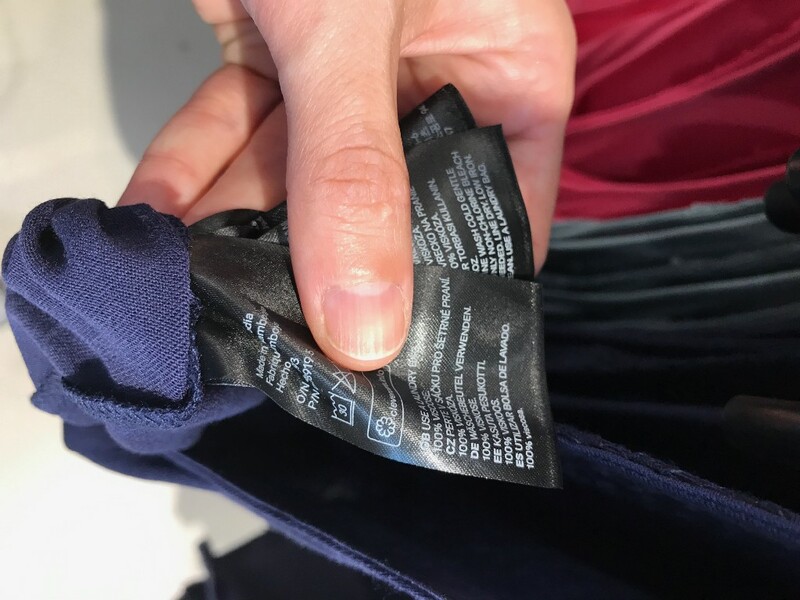 Crew clothing that say “Remove Before Wearing or Washing.” Except now that there are seven tags, you have—instead of one or two little raw fabric edges digging into your side—SEVEN RAW FABRIC EDGES DIGGING INTO YOUR SIDE. Sometimes they hold extra buttons, which seems generous and convenient, if perhaps and advance admission of guilt that the buttons fall off easily. Also, please email me personally if you or anyone you know and love has ever used one of these buttons for repair purposes. I’d like to study you. Back in 2011, the New York Times wrote about how some rich ladies snip the labels out of their Margiela because their baby skin is so sensitive and also they don’t want to have to look at the “Size 10” label because God forbid you should be reminded you are average. 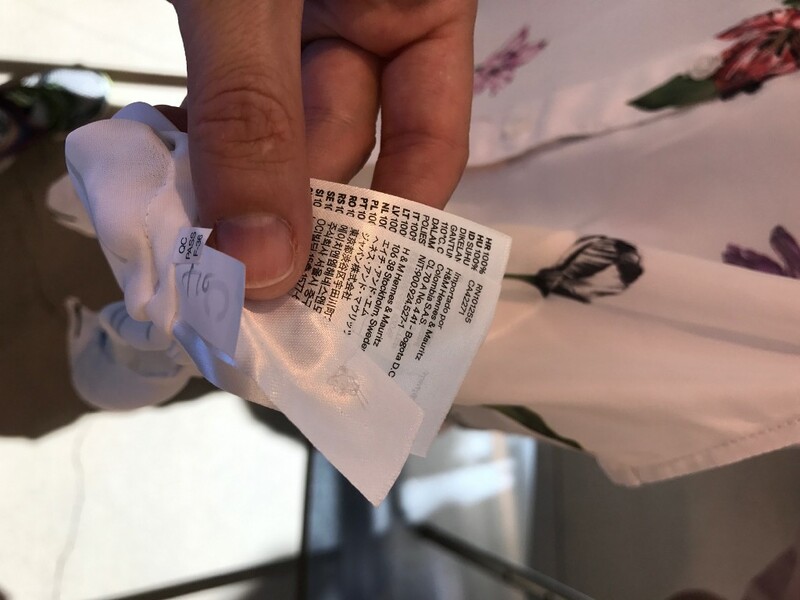 Another lady put band-aids over her YSL labels, which seems like it’s going to cause more problems bulge-wise as well as possibly leave behind adhesive. 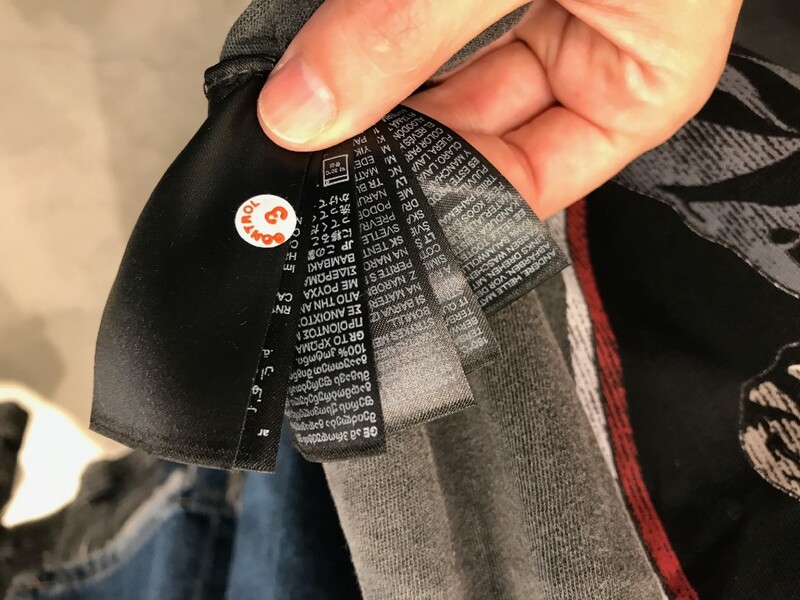 Okay, so cutting them out is kind of an untenable if temporary solution until someone starts manufacturing better labels. And once again, I’d like to stipulate for the record that I’m not talking about my vintage Balenciaga here, I’m talking about my six-dollar racerback tank with a carbon footprint larger than a She-Rex. 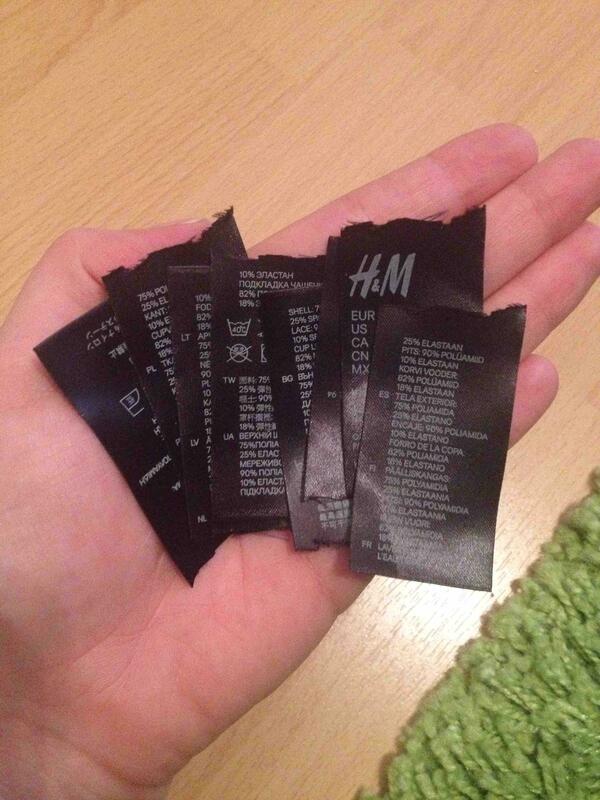 Remember, there are SEVEN tags and they are all made of some kind of synthetic white burlap. How about artfully de-stitching them out with a seam ripper? Nice try, smartass, but that almost always, indirectly or otherwise, results in an inch-and-a-half long slit down the left side seam of my shirt. And you know what? I’ll take it over seven tags. For now. I sort of blame Michael Jordan and Hanes for this trend, because while “tagless” shirts seem really cool, a lot of them can’t get away with being completely tagless (see above EU detail) and you end up having a tag in your side that says all of the garment care instructions that didn’t fit on the silkscreen or whatever. 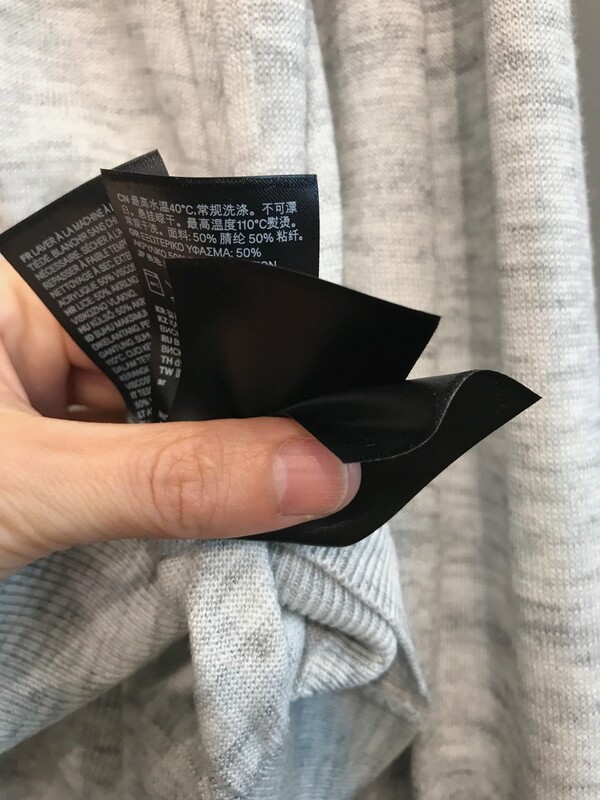 Granted, some manufacturers have tried to make the tags more comfortable. 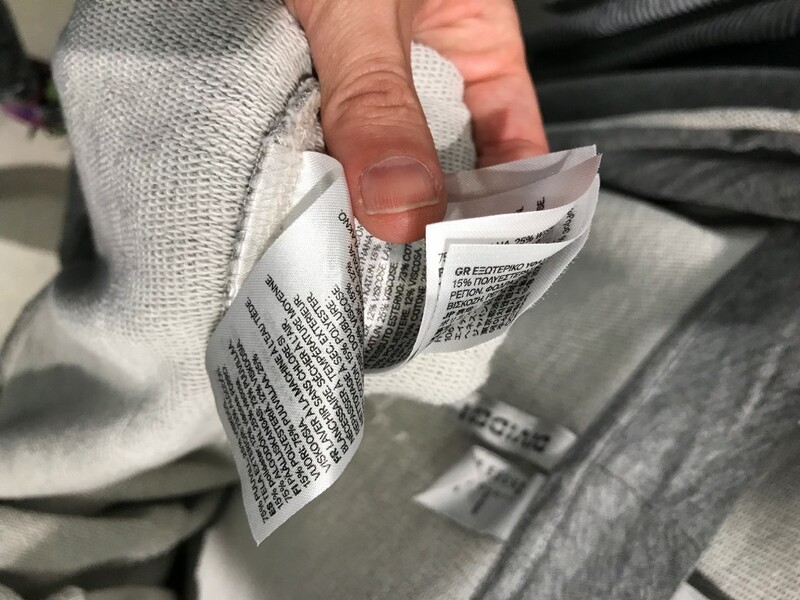 I have a few Everlane shirts (I know I know), that have little clear, maybe vinyl tags? They are softer and slightly less obtrusive, at least visually. But couldn’t I just receive a booklet with my clothes, the same way I do for a blender or other small home appliance? 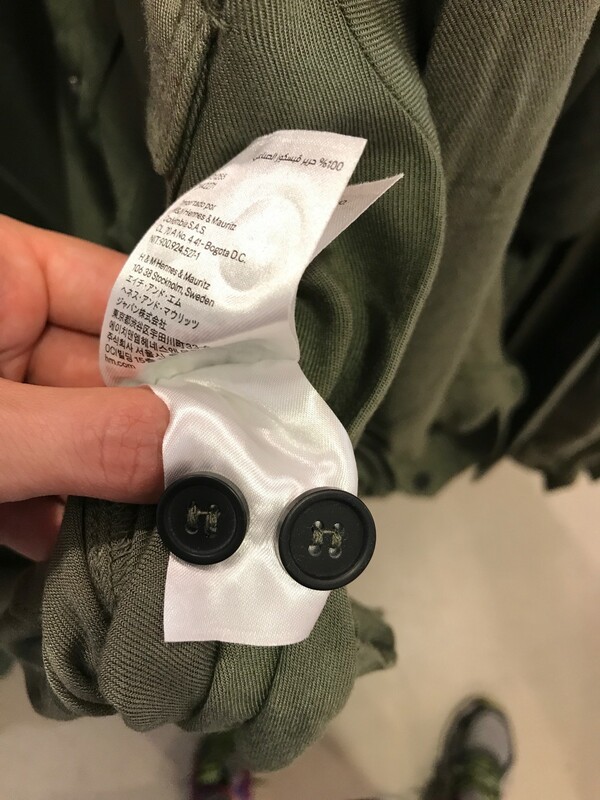 I would look at it just as much as the garment care label, which is never.